Thursday, July 18th, 2013 . 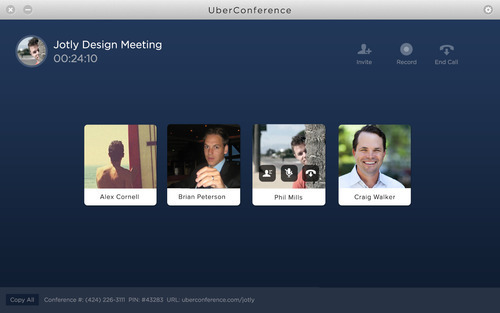 UberConference is launching its packaged app in the Chrome Web Store today. The app is an upgrade to the version that was previewed at Google I/O last May in San Francisco. 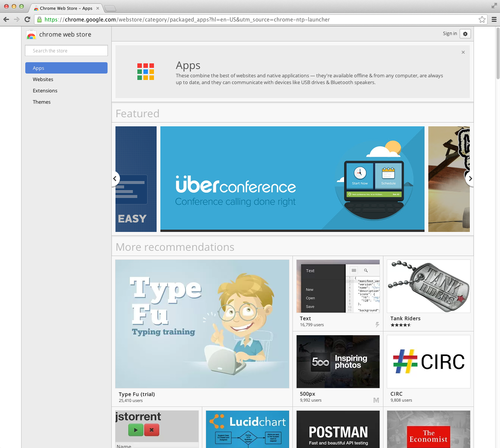 Google has worked closely together with UberConference to include it in this consumer preview of its Chrome Packaged App initiative.UberConference’s packaged app provides an updated user interface and makes it easy to start, schedule, and be notified about upcoming conferences – independent of the browser. Packaged apps benefit users by delivering the performance of standalone applications; instantaneous responsiveness, ability to be always-on in the background, and the simplicity of launching from the Start menu with the ease and convenience of the Chrome Web Store.The UberConference packaged app is available here in the Chrome Web Store. Currently, the app is available for Windows users on Chrome. It should be available for Mac soon, and you can sign up on the Chrome Web Store to be notified when it becomes available.